Here is a list of terms you may come across when dealing with any of the Perth trucking companies. At Vintage Road Haulage, we want you to fully understand all aspects of what we do. A JSA is performed for each job to identify if any changes have occurred since we last performed the task. 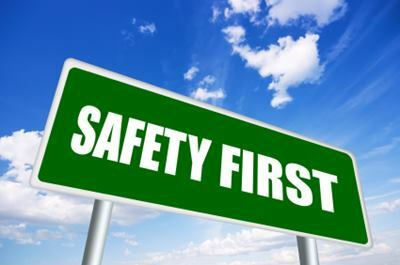 If there is a significant change, or the task has become unsafe then we need to look at our Safe Work Instructions again to make sure the hazards can be eliminated, substituted etc. An MSDS is required to be carried by our drivers whenever they are transporting chemical products or dangerous goods. They contain information about the cargo, general handling guidelines and how spills, fire and other hazards should be handled. If there is a problem during transport of chemicals or dangerous goods, this is the first document to refer to. Vintage Road Haulage carries an MSDS for every product we deliver to customer sites. PPE requirements can vary depending on the job. Examples of PPE include long sleeved shirt and pants, safety boots, safety helmet, mono goggles, gloves, DAP and hearing protection etc. Vintage Road Haulage uses SWI’s in our business to provide a safe work method for our drivers. Vintage Road Haulage prides itself on having a very strong EH&S Policy.